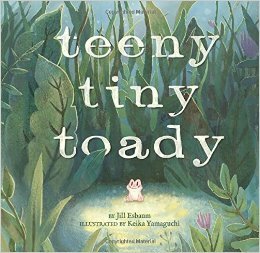 I first heard about TEENY TINY TOADY, by Jill Esbaum, when I interviewed the illustrator, Keika Yamaguchi, back when WHAT ABOUT MOOSE? released. So, when I spotted it on the shelf at my local Barnes & Noble last week, I had to sit down and read it! When Teeny's mother is snatched up and placed in a bucket, Teeny rushes home to tell her brothers and plan a rescue. But when her brawny brothers end up captives too, "Tiny Teeny, on her own" has to find a way to rescue them all. 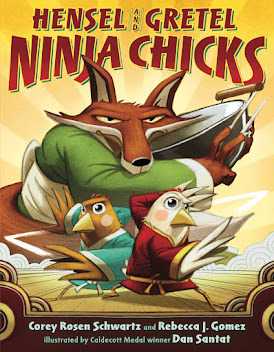 This charming book is every bit as adorable as its cover. Told in active, bouncy rhyme, TEENY TINY TOADY is a lot of fun to read. There are a few spots where the meter feels inconsistent--a couple of them feel intentional, like when the toads "plip plip, ploop, ploop, plip ploop, PLOP!" into the bucket. 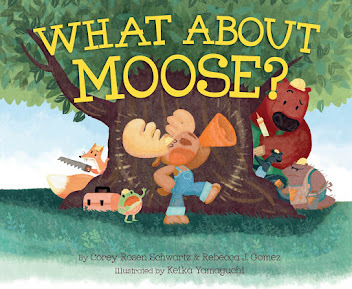 But, Esbaum's use of language, alliteration, and onomatopoeia make up for the meter issues enough for me to place this book on my favorites shelf. And Yamaguchi's illustrations capture the tiny heroine's story perfectly (and adorably). A fun (and did I say adorable?) 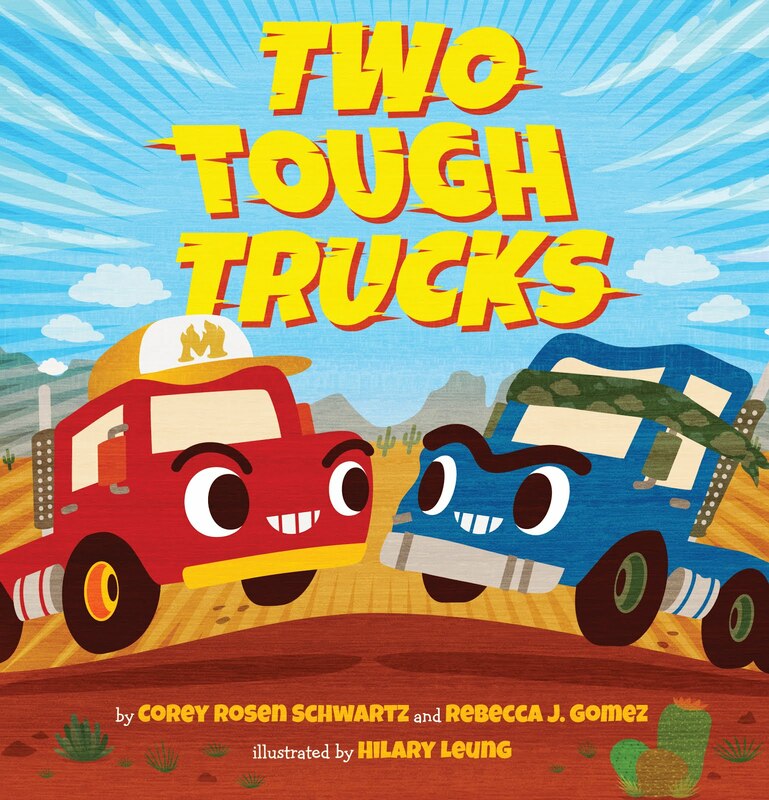 addition to any home or classroom library!